The difference is in the details at Little People’s Landing pre-school learning center in Roxborough, CO. The children who go there get more than quality care and learning. There is a virtually-invisible system in place that makes their experience positively radiant! 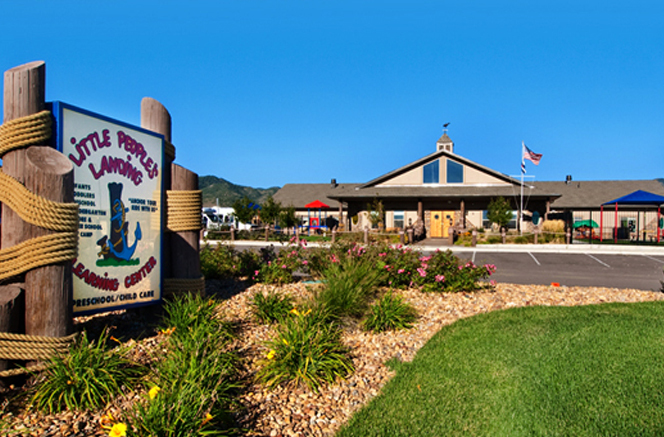 Upon building the new center in 2007, Little People’s Landing was looking for a more efficient way to heat the building, while meeting codes and improving the health, safety, and comfort of the environment. 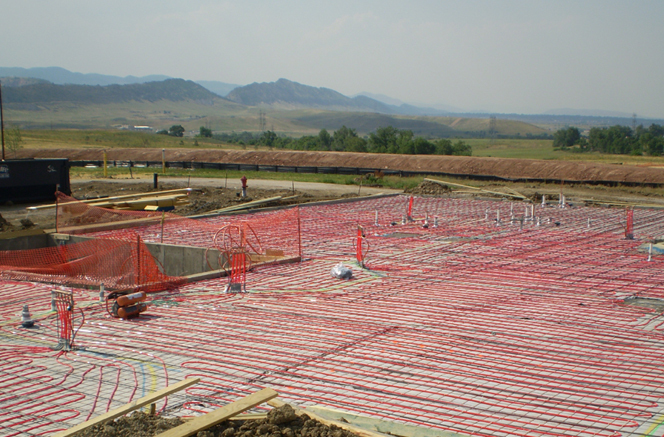 They contacted Snowmelt Systems of Colorado, who recommended and installed an Infloor hydronic radiant heating system inside, and snow and ice melt system outside, designed and manufactured by Infloor Heating Systems of Buena Vista, CO.
“I can’t think of a better application for a pre-school,” said Dennis Gardner, president of Snowmelt Systems of Colorado. “Since children sit and crawl on the floor so much, they need to have a higher floor temperature,” he said. State code requires that the school maintains a minimum floor temp, among other things. A traditional forced-air system must run at a higher temperature, he continued, with other drawbacks such as spreading dust and bacteria. 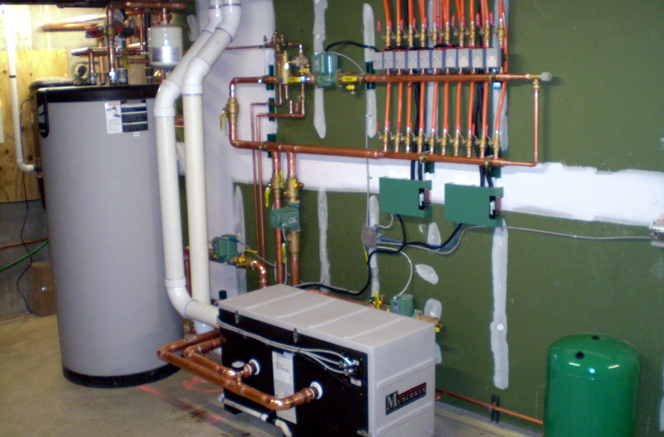 The high-efficiency Infloor hydronic radiant heating system installed at Little People’s Landing runs at a lower temperature, equating to a 27% monthly savings, and is equipped with dual sensing thermostats, zoning for each room, and a side-arm hot water tank that is 30% more efficient at heating water. And since the heat radiates up through the floor, it delivers nothing more than warmth and comfort to the children, eliminating airborne particles, cold spots, and drafts. Three different floor coverings were used; laminate, carpet, and tile. Dual sensing thermostats allow the system to be set at two different temperatures; one for the floor and one for the air temp. This means the floor temperature could be set at 85 degrees, while the air temperature is at 75 degrees. Every room is designated as a zone and can each be set at different temperatures, based on the needs and usage. For example, the infant room is kept five degrees warmer than the rest, Gardner identifies. The pre-school also installed the hydronic radiant heating system throughout their outdoor walkways and parking lot for additional safety and peace of mind. “The snow and ice melt system keeps their outdoor areas free of snow and ice all winter long,” Gardner said. A sensor in the surface of the heated area monitors both temperature and moisture, running only when needed. “I always want to provide the most efficient system possible,” said Gardner, “and the health and safety of the children was a critical aspect of this project.” Radiant heat provides more comfort and eliminates allergens, bacteria, and dust from being circulated through the air, he said. 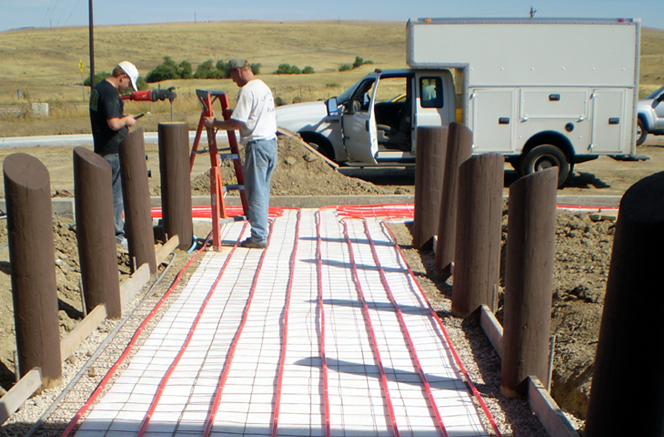 Snowmelt Systems of Colorado is based in Littleton, CO and specializes in installing infloor radiant heating systems and snow and ice melt systems. They primarily serve Colorado, and are backed by 22 years of experience.